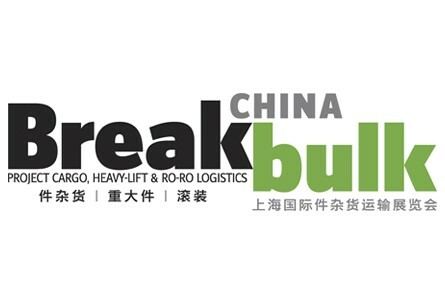 Broekman Logistics is participating in Breakbulk China 2016. Breakbulk China is the largest conference & exhibition in Asia addressing the needs of the traditional breakbulk and project cargo industry. Please visit us at booth 212 at the Shanghai World Expo Exhibition and Convention Center (SWEECC), China. This year, over 6000 visitors are expected to attend the conference and exhibition as it has proven to be an efficient way to grow your business and network. Did you know that Broekman Project Logistics offers a one-stop solution for all projects relating to the energy sector, offshore industry, wind farm development, machinery, steel and metal. Throughout the logistics chain, we continuously consider the smartest routes and the most economical cargo configurations and of course we also take care of all the paperwork, from transport permits to customs formalities. Are you searching for a breakbulk expert for your special cargo? Broekman has over 55 years of experience in handling non-standard, oversized and overweight cargo. Our breakbulk team will be present to answer your questions regarding all-in-one solutions for your supply chain. Interested in our services? Contact our team or download our leaflet.